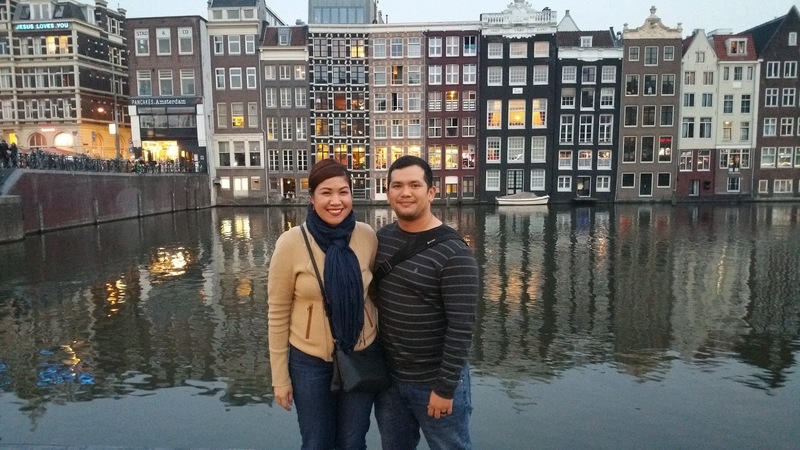 Amsterdam was our last stop on our European honeymoon and also the shortest. Three days were not enough to fully explore this amazing city. Since this was the last leg of the trip and the shortest, we didn’t purchase a new SIM. We decided to use our SIM cards from the previous countries until we used up all the minutes and data. We would switch to WiFi whenever possible to cut back on data usage. 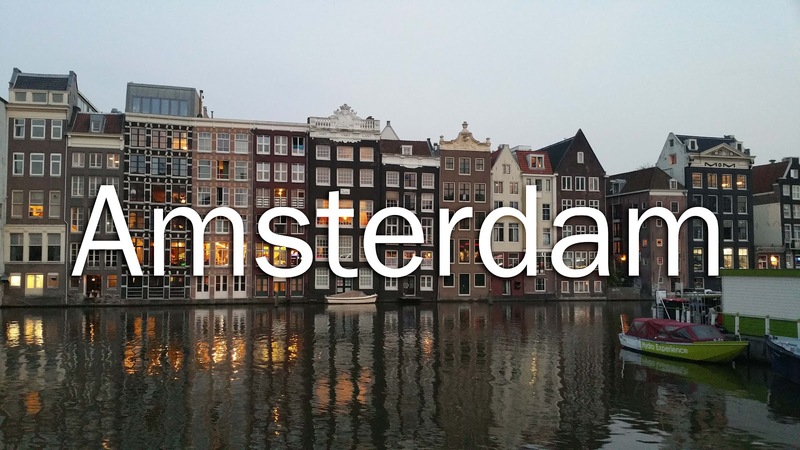 We picked up a three day Amsterdam Travel Ticket for €26. This Smart Ticket or (OV-chipkaart) is easy to use and you can choose a longer duration, up to seven days. Getting on a bus or train is easy, you tap it on a pad on trams and buses. It also comes with a transportation map which was helpful. The ticket covers the train from Schiphol Airport to Amsterdam Central Station. This is convenient since you do not need to purchase separate tickets for the public transport in the city. We used the Citymapper app to navigate around the city. It’s a lot better than Google maps for transportation schedules. We stayed in Amy’s Blue Room on the historic Haarlemmerdijk. It’s a short distance to central station, two stops on the bus. You can easily get to the other parts of the city from Central Station. It’s about one kilometer to the Anne Frank House and the city cente, and it’s a nice neighborhood to walk through. We loved walking through the canal district. The clean streets, iconic architecture and fresh air were a welcomed break from the busy streets of London, Rome and Paris. While not many places of interest are in the canal district, the scenery and architecture is well worth the stroll. 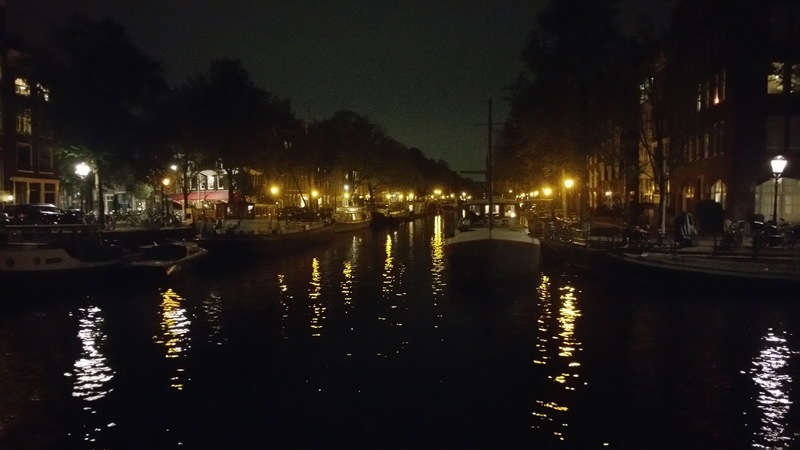 We would buy pastries and hang out along the canals which looks great at night as well. 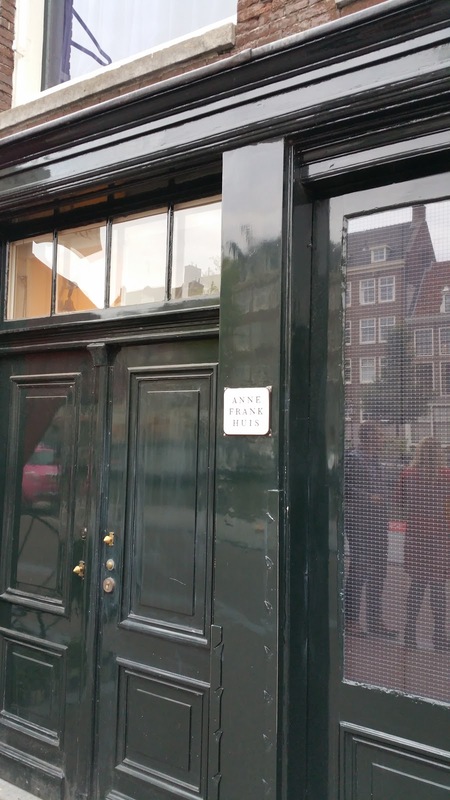 The Anne Frank house and museum was a short walk from our place. I did not read her diary growing up but the museum gives a great history of her life. The museum did not allow pictures to be taken inside which was a relief. The wife and I were able to just immerse ourselves in her story without trying to take pictures. I was able to read excerpts from the original diary which was a great experience. We picked up a copy of her diary in the gift shop, which I will read soon. If you are a Heineken drinker, this is a must visit. 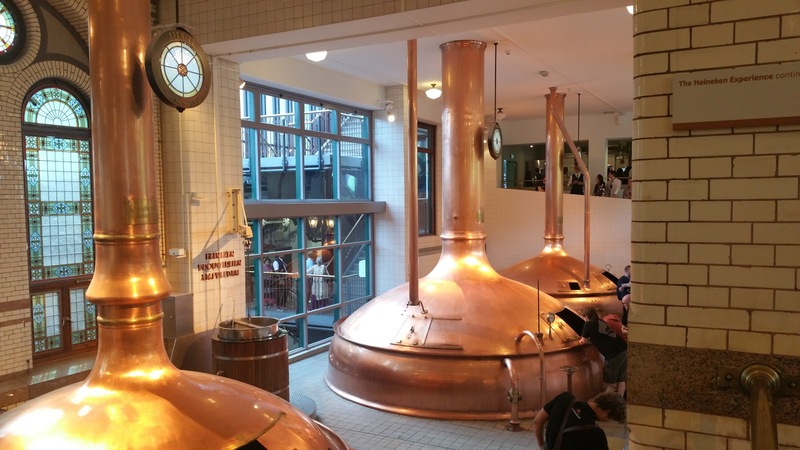 The Heineken Experience is a tour through the first Heineken brewery in Amsterdam. You learn the history of Heineken and how their beer is made. Beer is no longer brewed in the building but kegs are shipped in from their closest brewery. Two glasses of beer are included with the ticket. My wife and I decided to visit the Van Gogh museum instead of the Rijksmuseum. We wanted to visit both but we were limited on time. She’s a fan of Van Gogh’s work and wanted to see more of his paintings. If you’re a fan of Van Gogh, this visit is worth the trip. I didn’t mention everything we did in Amsterdam above. 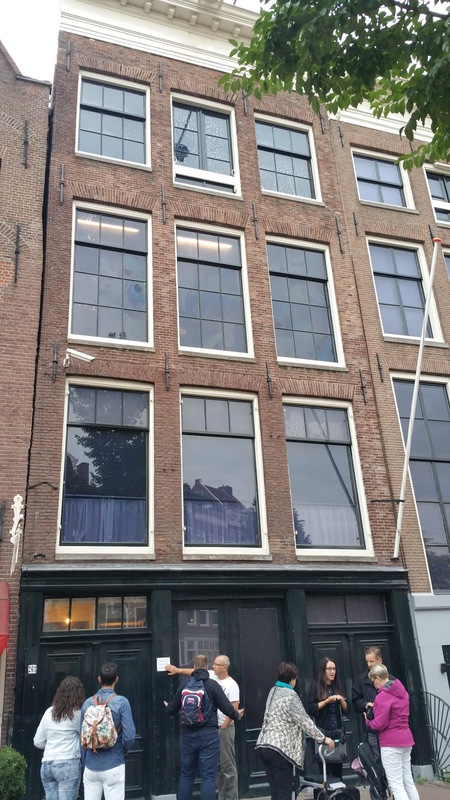 We went to the red light district, coffee shops and two CrossFit gyms (they were closed). We had a blast and we wish we spent more time here. In retrospect, we would have cut two days from Paris, and stayed the extra days in Amsterdam. I hope you enjoyed my recap of our honeymoon. If you have any questions feel free to comment or use the contact form, safe travels.